Pedaling efficiency is key to ensuring that you get the maximum power from each revolution. A smooth pedaling technique can also reduce the chance of injury to joints and muscles as well as putting less stress on your bike components. The typical route we use will be a simple route around the woodford valley ( anticlockwise, as per the time trial route, but with a side trip up Mile hill). These exercises can be done almost anywhere though. On the level – Single leg pedaling drills. Without shifting your backside on the seat, unclip one foot from the pedal and with the other leg, spend 30-60sec pedalling in a light gear. Concentrate to maintain a positive force on the pedal to keep the cranks turning in a smooth manner. The goal is to be able to pedal with the one leg for this period of time eliminating “chain slap” and keeping things smooth. Repeat three to five times for 30-60sec on each leg. On slight downhills – High cadence, in an easy gear, gradually increase your cadence so that for the final 15 seconds you are spinning as fast as you possibly can without your backside bouncing on the seat. From Snakey back to the bridge is a good spot for this. On slight uphill – Out of the seat pedalling. Efficiency can be increased for out of the seat efforts as well. Standing up gives us the ability to increase torque and power output by utilizing other muscles, although this does result in burning more energy. This can be improved simply through repetition. Whilst out of the seat, concentrate on achieving the perfect rhythm of rocking the bike away from the leg that is pushing down, using your opposing arm to pull up to the leg that is pushing down. Your bike short be rocking underneath you, whilst your body should remain fairly neutral. On mile hill (or any other suitable medium grade, long hill) – Strength endurance. With your chain in the big ring, ride at your lactate threshold (Z4) with a cadence of 50-60rpm, concentrating on pulling up and over in the second half of each pedal stroke ( i.e. between 10 and 2 on a clock face). Make sure the whole stroke is smooth though. This is a recipe that has been asked for many times by people who sample it, as we’ve been cycling together, so I thought I’d put the recipe on here. It’s based originally on a recipe by John Torode and modified a little as time has gone on. Melt the butter, treacle, golden syrup and maple syrup in a pan and bring it to the boil. Remove from the heat. In a mixing bowl, mix all the dried fruit and oats together, then pour in most of the “wet” mix from the pan, mixing well until everything is all wet and sticky. Keep a small amount (~dessert spoonful) of the “wet” for later. Line a baking tray with baking parchment (overhanging slightly) and then line the bottom with a layer of rice paper. Pour in the contents, press down flat. “Paint” a layer of rice paper with the remaining “wet” for use as glue to stick the rice paper down on top. Bake at 160 C for 30 mins. Remove from oven, cover with a second piece or parchment, place a second tray on top and weigh it down, so it presses everything together as it cools. Leave to cool. Once cool, take weights off, and remove from the baking tray. The parchment should gently come away leaving the rice paper firmly stuck to the flapjack (it may need a little careful removal near the edges / corners). It can then be cut up cleanly into approx 1″ cubes for easy eating on the bike. The rice paper keeps the fingers from getting sticky and can be eaten. For ease of cutting, I tend to place the flapjack in the freezer for a few hours first, as this makes it good and firm for cutting up. 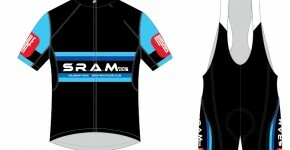 The club kit has been updated for 2017 to remove any sponsors logos. This change has been brought in as the club no longer has any commercial association. 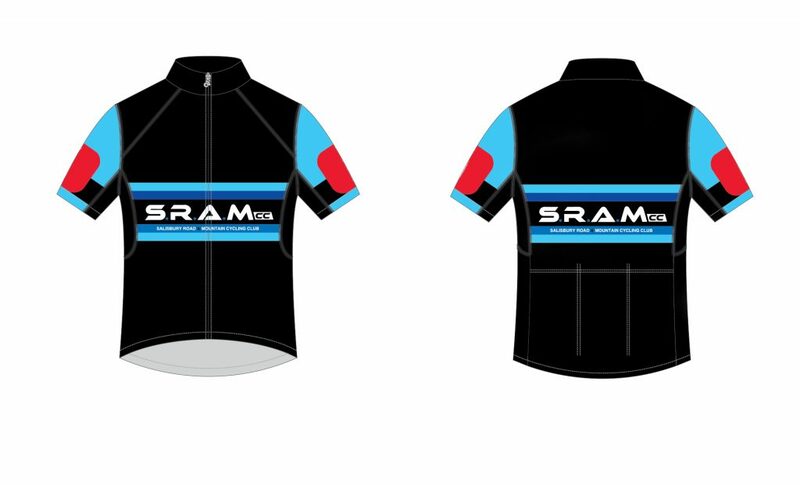 The updated kit design has been registered with British Cycling. Club kit can be purchased via Halosports contact us if you need the password. From Five Rivers, hear up the Woodford valley to Middle Woodford, then turn left up and over Mile Hill to Stoford. At the A36 turn left for just under 100 yards then right over to Great Wishford. Turn right again by the Royal Oak and head up the Wylye valley. Head up as far as the Ginger Piggery (or less if short on time), then turn round and head back. On the return leg, go straight on at Great Wishford, though waterditchampton into Wilton, then return into Salisbury via the main A36.